If you would prefer to purchase this eBook through other services that will automatically transfer the file to your device, please visit Adventist-eBooks.com for a complete listing of eBooks and availability on other eBook stores. Jesus told his disciples, "Behold, I send the promise of my Father upon you: but tarry ye in the city of Jerusalem, until yet be endured with power from on high" (Luke 24:49). Their obedience to His command allowed the Holy Spirit to transform these quarrelsome, self-centered men into fearless evangelists. So it is with us. It is only through the influence of the Holy Spirit that Christians are able to live for Christ. These excerpts from Ellen G. White's writings are full of references to the work of the Holy Spirit, the complete transformation that He brings about in a believer's life, and just how desperately we need Him. "It is the Spirit that makes effectual what has been wrought out by the world's Redeemer. It is by the Spirit that the heart is made pure. Through the Spirit the believer becomes a partaker of the divine nature. Christ has given His Spirit as a divine power to overcome all hereditary and cultivated tendencies to evil, and to impress His own character on His Church." 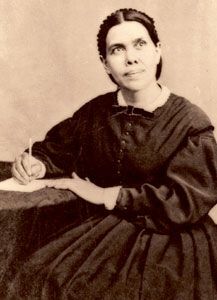 ELLEN G. WHITE, is the author of more than 130 books, many of which have been compiled and published posthumously from her extensive manuscript file. She is the world’s most translated woman author, her works appearing in more than 150 languages. Inspired by God, she exalted Jesus and continually pointed to the Holy Scriptures as the basis for faith.